Shortly after the conclusion of last weekend’s Champions League Final 4 in Kazan, where Perugia recovered from a disjointed start of the tournament to win bronze and Leon led Kazan back from the brink of defeat to win a 4th-straight gold medal, the two sides have been officially united. Leon announced in March that he would not be renewing his contract with the Russian team that he had helped become the best in the world since joining in 2014. The departure was met with mutual respect, and while Leon’s rumored landing spot would be Sir Safety Perugia in Italy, no official announcement was made until Monday, where Perugia officials confirmed that Leon has signed a contract for 2 years with the club, with a 3rd year option. The club’s president Gino Sirci played coy and said that he “did not know” what would happen with the current face of the franchise, outside hitter Ivan Zaytsev, but that belies the truth available to all: Zaytsev has said publicly that he will leave Perugia so that he can play at his preferred opposite position (where Perugia re-signed Aleksandar Atanasijevic). All signs point to Zaytsev ending up in Modena, playing for newly-signed legendary coach Julio Velasco. 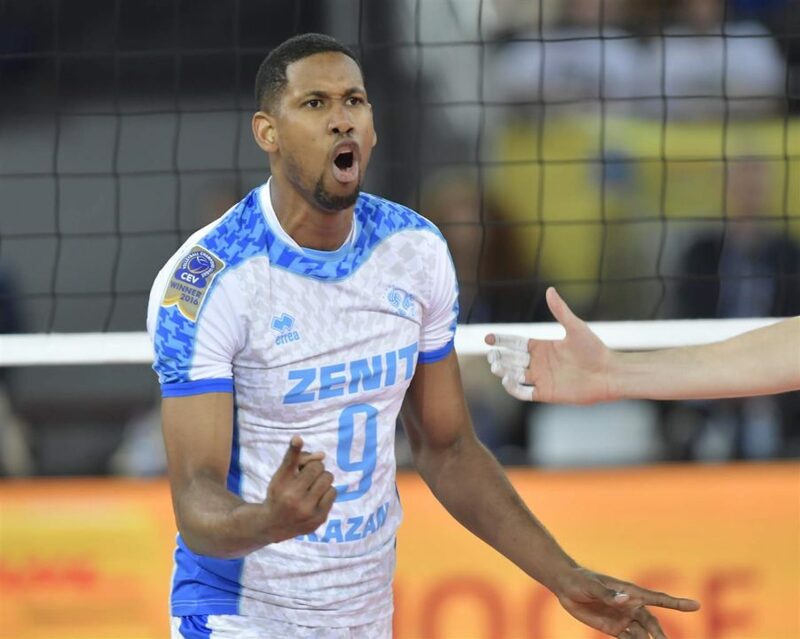 Depending on what other moves are made, Perugia earned an upgrade at least in age (Leon is 24, Zaytsev 29) by adding one of the most unstoppable forces in the sport to the outside. Perugia’s other outside hitter last season was American National Teamer Aaron Russell. Perugia, besides a second-straight Champions League medal, won their first-ever Italian Championship last season, beating Civitanova 3-2 in a best-of-5 series. They also won the single-elimination SuperCup by a match score of 3-1 over Civitanova (who took silver in the Champions League). Their opposite Atinasijevic was the 4th-highest scoring player in the league last season, and hit at a 52.3% success rate – second-best among the league’s top scorers (behind only Civitanova’s Osmany Juantorena). Zaytsev, meanwhile, hit just 46.4%, about middle-of-the-pack, and averaged 3.3 points/set with 37 aces. Leon, born in Cuba, is still likely one year away from being able to represent his adopted home of Poland internationally – expected to come at the 2019 European Championships.